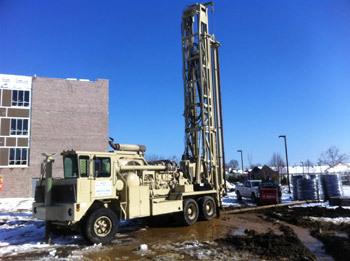 H & H Well Drilling, LLC operates with over 40 years of combined well drilling experience. We are a member of the National Ground Water Association (NGWA). We are certified by the International Ground Source Heat Pump Association (IGSHPA). We are Licensed, Insured and Bonded in Maryland, Pennsylvania and West Virginia. We employ 4 Master Well Drillers and 1 Master Pump Installer. We operate under the Maryland DOT Preventive Maintenance Program. We operate in strict compliance with industry OSHA regulations.